These past two weeks have been nothing short of crazy. About 6 weeks ago I was told that my Dad has prostate cancer. I did what any daughter would do; I cried. Whenever I hear the "C" word, I can't help but think the worst. My Dad, my hero, my first love, my best friend....has CANCER!!! The time came for his surgery and my husband and I packed up the boys and headed to Milwaukee. We planned on staying for 5 days to help him recuperate and then we would head home. Little did we know some unforeseen circumstances would arise and we would end up staying for 11 days! What do you give a man for Father's Day who needs nothing more than love and care? My dad is a simple man who would be content if I gave him nothing at all. I usually give my dad a fantastic bottle of scotch. We aren't talking a $40 bottle either. 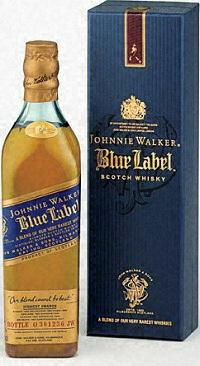 I usually give him a fifth of Johnny Walker Blue. It costs around $150 and is a cherished addition to his liquor cabinet. I always make him a card to which he usually gets teary but this year I did something different. Besides procure some adult diapers and ointment to aid in his surgical recovery I bought him something that would make him feel good about himself. 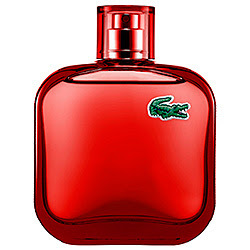 I got him a bottle of Eau de Lacoste Red. This cologne is suppose to be masculine and timeless and just what the doctor ordered in the self confidence department after a prostatectomy! I know I always feel like a million bucks after I shower, apply a little makeup and put on some nice clothes. Why shouldn't my father feel the same amount of self satisfaction? No matter what you decide to give your Dad for Father's Day, let it come from the heart. He loves you no matter the gift you send (or not!). I have some big big news to share with all of you come Monday so be prepared. There will be contests, excitement and some truly horrific pictures!! I hope you are ready! HAPPY FATHER'S DAY!! HAHA! I have to wear Depends True Fit diapers! Even in the worst of situations my Dad knows how to laugh.